Replacement fuel filter and viton seal for use with Mercury/Mariner outboard under-cowl fuel filter assemblies with screw-on bowl. This kit services the prior filter assembly that was all white in colour (both top and bowl). 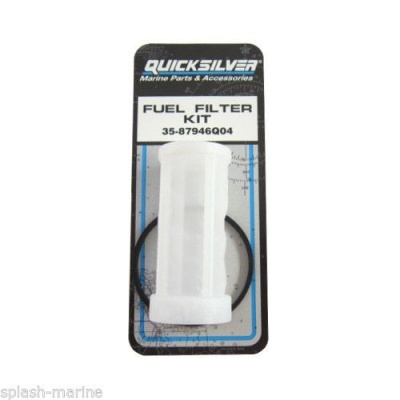 Found on various Mercury & Mariner 2-Cylinder 2-stroke outboard engines, 6hp thru 40hp.